On this Thursday, June 20, 2013, the Governor of Bali, Made Mangku Pastika, delivered a discourse associated with the consumption patterns of animals to the Balinese. 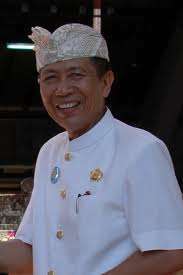 Bali governor stated that the Balinese people are allowed to eat turtle meat. But eating turtle meat was limited to the activities of religious ceremonies. In religious rituals in Bali, mainly Hindu Bali, the use of turtles in a religious ritual has been going on since time immemorial. However, since the government and certain organizations stated that the turtle populations are increasingly threatened, then the poem as it is forbidden to kill and consume turtle. So that the Balinese began using animals other than turtle for completeness religious ritual in Bali. Bali's governor said Thursday that the turtle was consumed for religious ceremonies, no problem. Because if his intention for the ceremony, just once a year. So do not kill the turtles every day. It was only a little. But Bali governor does not explain more clearly, what the turtle should be consumed for religious ceremonies. Is it okay to use and kill turtles obtained from the wild or from captivity. Previously raised concerns consume turtle permission for religious ceremonies misused for turtle trade. Turtles are marine animals whose existence is increasingly rare in the wild. The number of arrests and trade of turtles, endangered sea turtles make. In some countries, capturing and killing turtles is illegal. And severe punishment can deter turtle traders.